Playa Maya is the place to be if you want to get away from it all, but in a very special environment. Located less than 10 km East of the town of Celestun, Playa Maya provides the convenience of modern life in a natural and well preserved property. 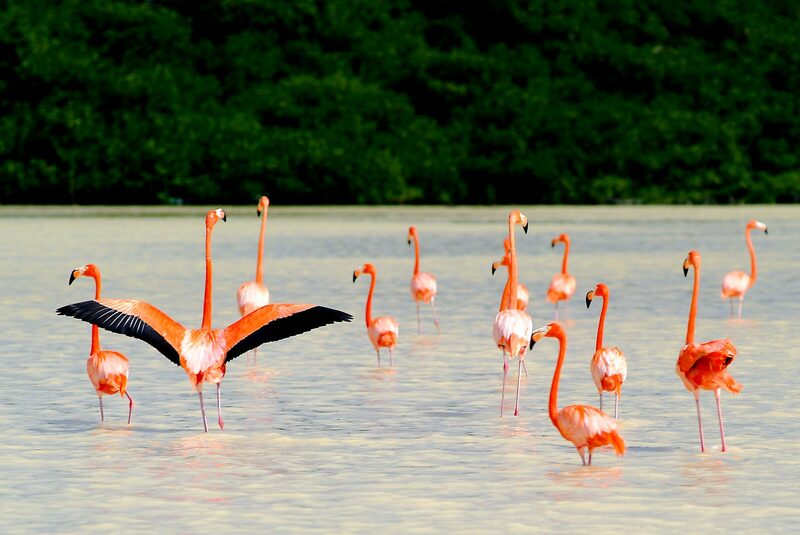 Flamingos are the highlight of the region, but this is only the beginning, there is a diverse wildlife in the area from bird species to cactus. We offer services from either Merida city / airport (MID) or from Cancun hotel zone / airport (CUN) to reach Celestun / Playa Maya. Collections after 8pm from Merida airport, add $20 US. Collections after 6:30pm from Cancun airport, add $20 US. For those visitors being collected at Merida the rate includes 3 hours for shopping (Costco, Walmart, lunch, etc.) before heading to Playa Maya. Extra time at $10 USD per hour. Transit time from Cancun airport to Celestun is over 5 hours and under 1.5 hours from Merida. Due to total transit/driving time we cannot offer shopping time for services originating at Cancun. Rates are per vehicle one way, in US dollars including sales tax.